This collection of transcripts from Australian Prime Ministers contains approximately 20 000 individual speeches, media releases and other transcript items dating from the early 1940s through to the end of the Abbott Government in 2015. 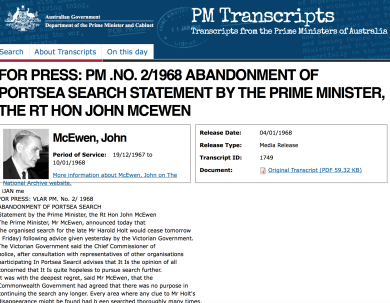 The PM's website contains information and transcripts from the current Prime Minister. 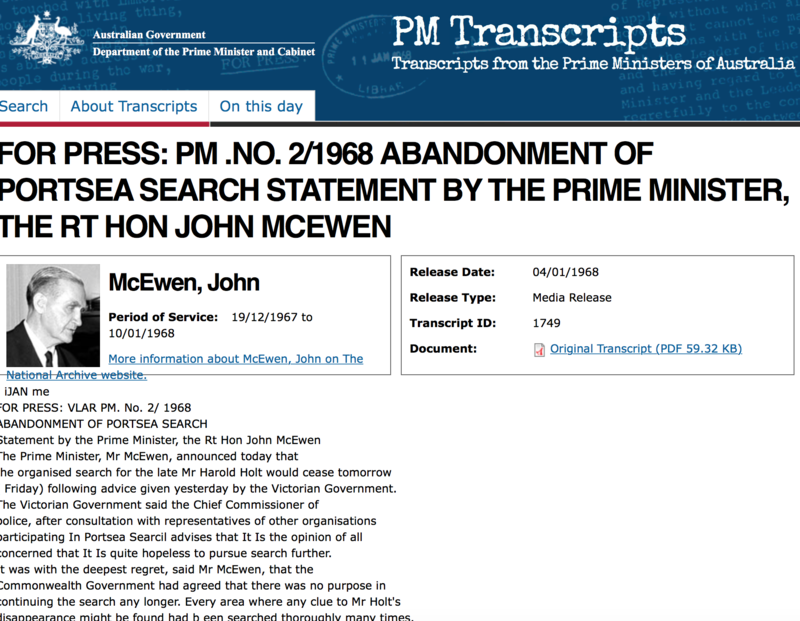 The National Library's Australian Government Web Archive site also contains transcripts. … the video of the Prime Minister's Australia Day message in the media hub.